This box was sent to us at no cost for review purposes. (Check out the review process post to learn more about how we review boxes. 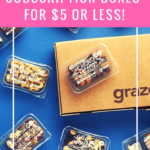 Check out lots of other great boxes for cats and cat lovers in the Pet Subscription Box Directory and make sure to add The Cat Kit to your subscription list or wishlist! These are from an Etsy shop. I think they’re cute. I also think the catnip is pretty good because my cats wanted to rub all over them. So these were wins. You are supposed to separate two eggs and use this to fry the whites, while putting the yolks where the eyes are. I can’t take eating runny egg yolks but I think this will also work to make cat-shaped pancakes, and that would be pretty awesome. Sneaky was interested in this item as well (see below). I actually already had a pair of these in black and white (they’re all over Amazon, different brand names but basically exactly the same product), but I use them – they have a pretty big capacity and they’re not that difficult to drink from. So another one is welcome. The information card had a higher value but I listed half the price of a set on Amazon up above. I must be out of the loop (tends to happen when you don’t have time to watch TV) but Jackson Galaxy apparently has a television show where he fixes problem behaviors in cats (or something like that). I’ve been lucky so far not to have had a cat with that kind of problems (well, Sneaky did ruin a bunch of carpet right after we moved into our new house, but whatever). Anyway, I can’t find this exact toy online but there are some very similar ones with this price, which I have linked to above. Monkey was interested in this for sure. Madison is still not amused, and I love the Monkey photobomb in the corner. Also, yes, those are subscription boxes stacked really high in the chair. Don’t judge. I review like 40 boxes a month. It is hard to do that and keep the living room clean at the same time. In case you are wondering, Monkey clawed my fingers shortly after this photo was taken and yes, I ended up bleeding. Monkey liked the wobbler toy. He was rather possessive of it. I know this is not meant to be a toy. But I also know how much Sneaky loves to chew on silicone things. She has stolen silicone trivets from the counter as well as a silicone-covered door-stopper from the bathroom where I used to live. So I did let her bite this for the photo. And then I took it away from her, ran it through the dishwasher, and put it where she can’t get it. I should say here, the cats really did like the pancake and egg toys, but they mostly wanted to rub their chins on the toys, which didn’t make for good photos. So I tried to take a few like this because I thought they were funny. Verdict: I calculated a value of about $43 for the June 2016 The Cat Kit. That is a bit above the cost of the box, which is great, especially for a box that includes cat toys (it seems to me, based on my experience reviewing cat subscriptions, that boxes with cat toys frequently end up being low in value). The items are fun and definitely fit the breakfast theme very well (in fact, I’d say they fit the theme better than a lot of other themed boxes). Plus, my cats really liked the pancake and egg toys so I have a new Etsy shop to check out. What do you think of June’s The Cat Kit? Do you subscribe to any cat boxes? I love all the kitty boxes and enjoy your reviews and seeing your babies getting the goodies! Several of the boxes really seem over priced but I’m waiting till one has a can’t miss deal and then will pick one to get! On another note…Jackson Galaxy, awesome cat man! Do watch a show or two if you can. He truly cares about each and every cat he helps! As I saw someone else say, the product line of his is way over priced! Saw some items at PetSmart and couldn’t believe it but I still love Jackson! ? Ragan, I love all of your cat box reviews (yes it’s because of the gratuitous cat photos). The video was adorable and it was nice to see all the kitties in action (esp Mr. Kitty), he looks exactly like the kitty I had growing up except he’s a bit larger. Loved the egg video, my cats love to fish off my plate too. What egg video? Where are you looking? …you’re not supposed to have sub boxes stacked somewhere? Huh!?? …am I the only one that wonders what the heck your kitty toy stash looks like? Hahahaha!!! My stash all over the bedroom floor (unless the toys require supervision or are irritating — like they make loud noises — and then they are on a shelf that Monkey only sometimes shows interest in reaching). Mr. Kitty is looking younger and healthier in every pic it seems! Jealous of his reverse against. Hugs to him and yeah for 2 clear eyes! They tend to go right for the source, don’t they? My cat does the same thing. I have the scars to prove it. I need that egg mold. No way I’ll pay $17 for it, but I’ll hunt for one. Jackson Galaxy is a kitty savior!!! You should really check out his show if you ever get the chance to, I’m also pretty impressed to see one of his items included in a sub box. They’re way overpriced IMO! I agree about Jackson. I was skeptical about a show called “My Cat From Hell” but I enjoy it and I have learned a lot more about cat behavior and how to approach a cat than from anything else. As a relatively new cat mom, I found it really helpful in the beginning (and now it’s just fun). He brings his toys with him to the clients and you can see how useful they are. I don’t have any of his toys because I have a picky cat and have to not waste money on toys she won’t like, but if I splurge, it’ll likely be for one of his toys next time. I saw at Petsmart that he has a catnip marinater which you put toys in and, well, they are marinated. I think that is probably top on my list. His show always makes me feel better about my own cats, lol. They are well behaved for the most part but there are, of course, certain things they do that drive me a little crazy but then I think of some of the behaviors exhibited on the show and feel lucky. You can tell he really cares about the cats too! and no judgement here – I have boxes stacked up too!